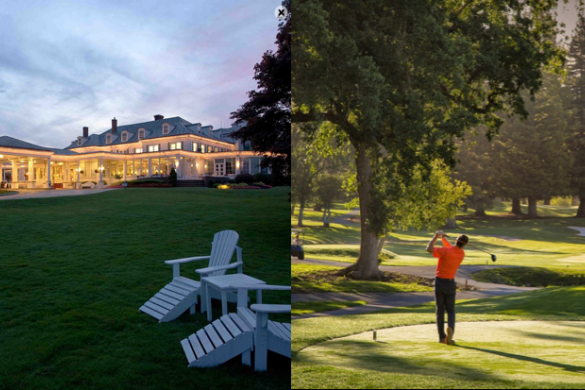 New York, NY - Two renowned golf resorts, Silverado Resort & Spa and Seaview Hotel & Golf Club, have selected Tambourine to provide comprehensive marketing and ecommerce services. Located an hour north of San Francisco in Napa, Silverado is a AAA Four-Diamond winner and one of Conde Nast’s Top Ten Northern California Resorts. Seaview, a landmark seaside resort on the New Jersey shore boasts two championship golf courses. Both properties are affiliated with the Dolce brand, a curated collection of unique upper-upscale hotels, resorts, and conference centers in North America and Europe. Tambourine, also recently announced its expansion to new offices on the east and west coast. The expansion is a result of Tambourine’s rapid growth and popularity with branded and independent hotels, resorts, and hotel management companies seeking to drive more direct business and consolidate the complex digital marketing services required to compete for guests in today’s hotel market. A California landmark for more than 140 years, Silverado Resort and Spa began its life as a private estate and was converted into a contemporary resort featuring 370 guest rooms, a 15,500-square foot conference space, two championship golf courses and two signature restaurants. Now owned by World Golf Hall of Fame member and lead NBC analyst Johnny Miller and partners, the resort recently underwent renovations to its North Course, resort rooms, and event spaces. Surrounded by Napa Valley’s more than 540 wineries, the resort also features a 16,000 square foot spa, 10 secluded swimming pools, 10 tennis courts, and other recreational offerings. For more information on the resort or to make reservations, please visit SilveradoResort.com or call (707)-257-0200. Mere minutes from the excitement of Atlantic City yet quietly tucked away on 670 scenic acres along Reed's Bay, Seaview, a Dolce Hotel, offers 296 well-appointed guest rooms and 27,000 square feet of meeting space in a pristine, retreat-like setting for both business and leisure travelers. And, with 36 holes of golf, indoor and outdoor pools, tennis courts, and a world-class spa, guests will discover inspiration beyond the boardroom. Convenient to the casinos and entertainment of Atlantic City while being only 45 minutes from Philadelphia, historic charm abounds at Seaview across a century of history and tradition merged with contemporary conveniences. Recently, Seaview announced plans for a transformational renovation updating its 296 guest rooms, event spaces and refreshed meeting spaces, lobby and public areas; renovations to the outdoor pool; and new dining options including a new original restaurant concept within the hotel’s famed Oval Room.